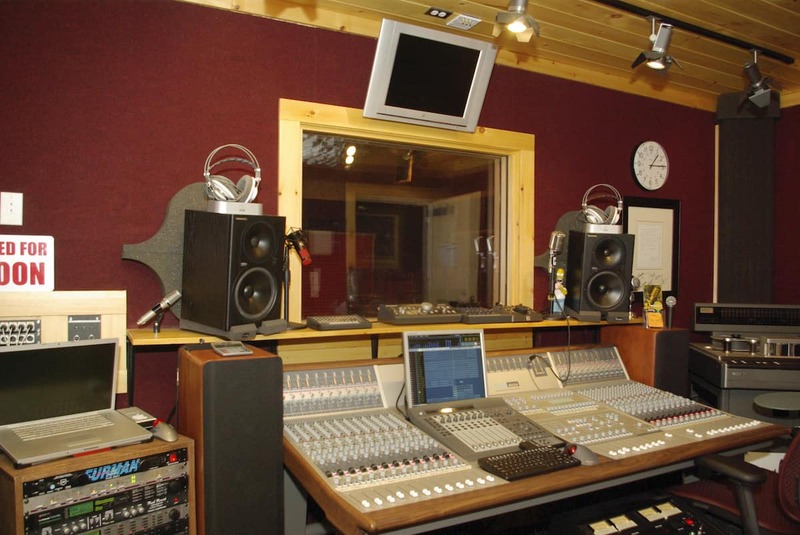 Avid’s Digidesign division enjoyed a well-established reputation in professional audio as the company behind Pro Tools, the industry standard in studio recording. But the brand was largely untested in the more volatile, unforgiving world of Live Sound. Trust had to be earned among veteran touring engineers resistant to changing long-held alliances. 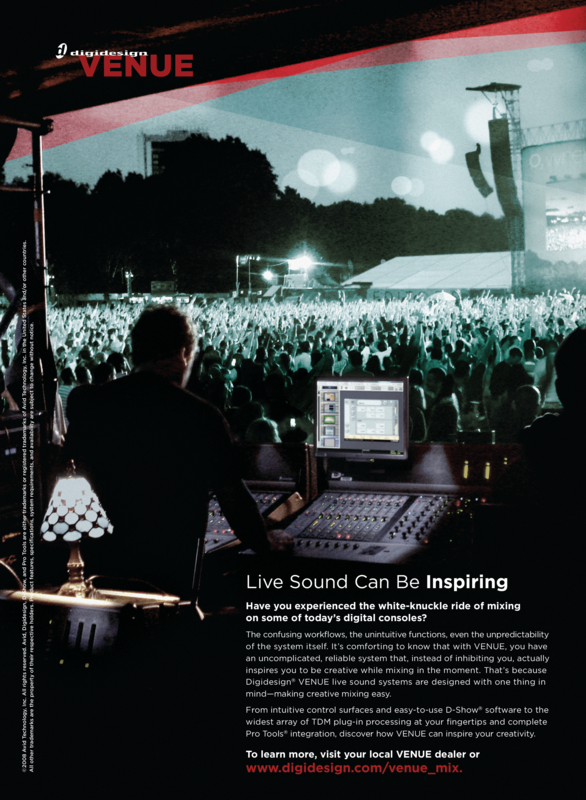 Get It In Writing worked with the Avid team to create a strategic branding campaign to introduce their new VENUE line of live sound consoles. 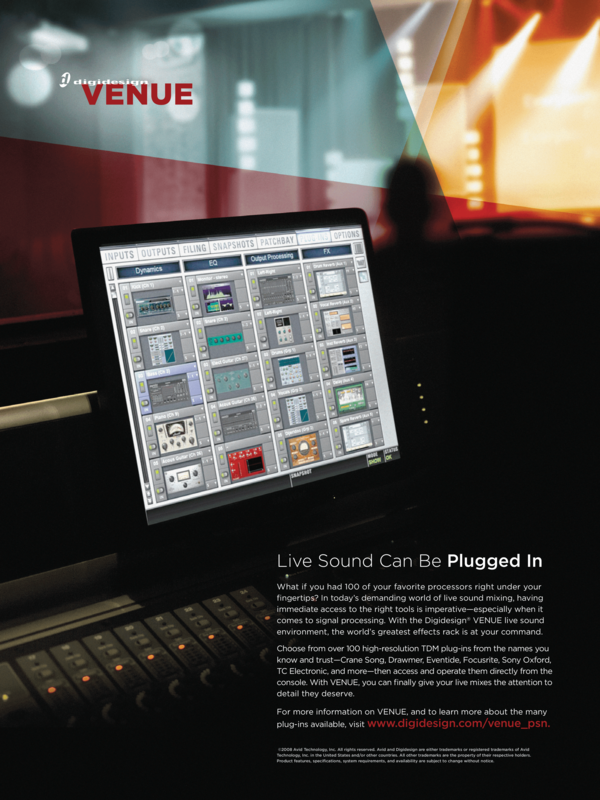 Tactics included a mix of focused print advertising, high-profile user stories, video testimonials, and artist outreach initiatives. 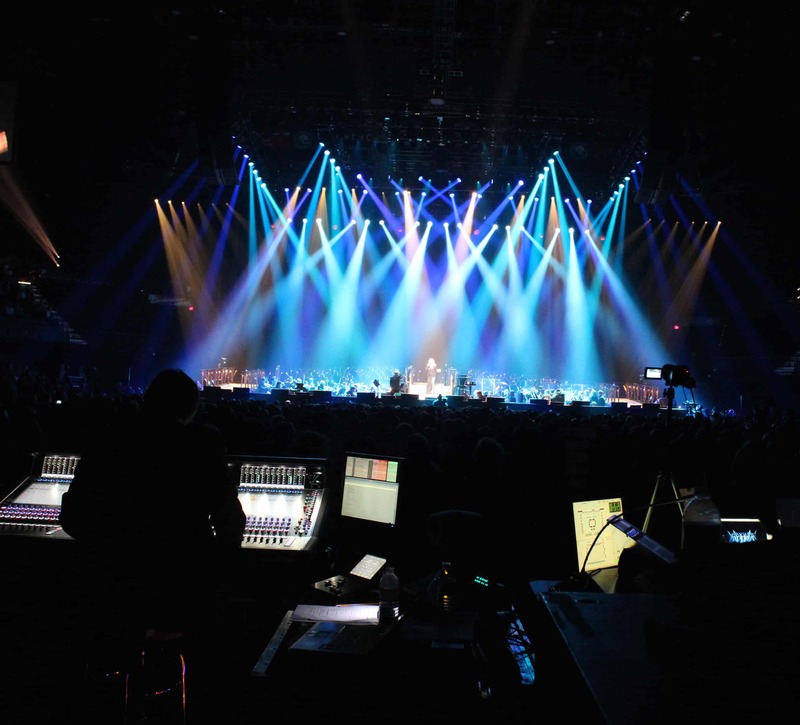 VENUE was firmly embraced by touring professionals worldwide, quickly gaining major market share in a highly competitive sector. Today, VENUE is among the most requested consoles in the live sound industry.